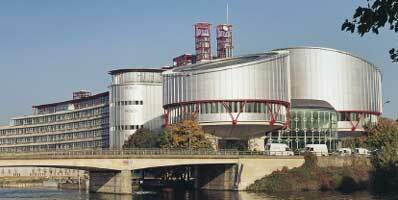 The Law Firm prepares complaints to the European Court of Human Rights in Strasbourg. Complaints may refer to violations of the law guaranteed in the European Convention for the Protection of Human Rights and Fundamental Freedoms, ratified by Poland on January 19, 1993. 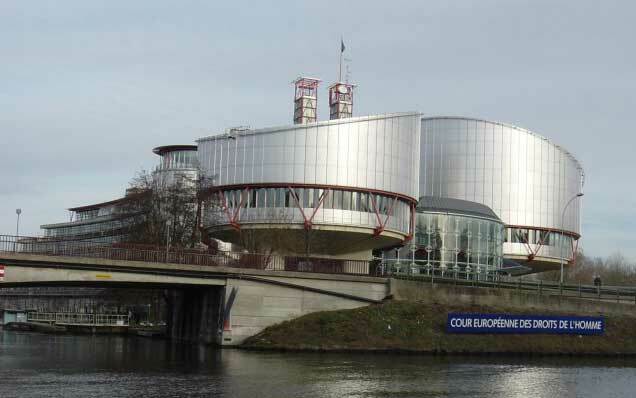 The European Convention for the Protection of Human Rights and Fundamental Freedoms (ECHR) introduces two types of complaints: an interstate complaint under Article 33 ECHR and an individual complaint under Art. 34 ECHR The European Court of Human Rights (ECHR) will consider an individual complaint only if it is considered admissible and thus meets a number of conditions contained in art. 35 of the ECHR, such as: exhaustion of domestic remedies, significant damage suffered by the Complainant, or submission of a complaint within 6 months from the final settlement. These circumstances are examined ex officio - so you do not have to raise them in the preliminary objections (Walker v. The United Kingdom, post, no. Complaint 34979/97) - and can be taken into account at any stage of the proceedings, which will result in the rejection of the complaint. The 6-month rule is intended to ensure legal certainty, while giving the complainant enough time to consider whether he wants to file a complaint and to collect the necessary documents. This term is calculated, as a general rule, from the moment the applicant becomes aware of the final settlement in the national system. This usually means the moment of delivery of a decision / decision to the Complainant or his attorney, or, if the decision / decision is not available for delivery - from the moment of announcement. In some cases, the Tribunal recognizes as the starting point for the date of the delivery of the decision together with the justification, after submitting the request for justification by the applicant. Such a situation will arise, for example, when the matter is complicated and it is necessary to understand the court's full line of reasoning or if the alleged breach of the Convention concerns the issue of inadequate reasoning or arbitrariness of the court in assessing evidence. In the case of continuous infringements, the 6-month period starts again every day of the infringement. This will be the case, inter alia, in the case of excessive length of proceedings or failure to provide adequate conditions in the prison / remand center. If the Complainant was in several establishments / detention centers with comparable conditions, the Tribunal will treat the whole period of deprivation of liberty jointly, as one period of continuous violation (and thus the last day of staying in the last plant will be the first day of running the period), unless between subsequent periods of isolation in the facilities for a significant break took place in similar circumstances (Khoroshenko v. Russia, no. complaint 41418/04). If it is clear from the outset that there is no effective and sufficient means of redress in the national system, the time limit for commencing the complaint will start to run from the moment the event causing the infringement occurs, the consequences of the violation (felt for the complainant) or the applicant knowing about the violation or its effects (Dennis and Others v. the United Kingdom, no., complaint no. 76573/01). It may happen that it is only after submitting the domestic remedy that it is ineffective or insufficient - in this case the period runs from the moment the applicant becomes aware of the ineffectiveness of the measure (Öztürk v. Turkey, no. Complaint 22479/93). Mention should be made of situations in which the measure is obviously inadequate from the outset and is nevertheless indicated by the highest judicial body as the only one available in a given case. Such a circumstance took place in Tomaszewscy v. Poland (no. 8933/05), where the Tribunal stated that the Complainants can not be "guilty" for using the ineffective measure since it was recommended by the Supreme Court, therefore the time for filing a complaint will start only after considering the measure. As mentioned above, the deadline starts running from the moment the final decision is made in the national order. It is worth noting that this is an ordinary means of appealing, possibly a constitutional, cassation or other complaint, if it is admissible and could be effective in a given case. This rule is to ensure that the Complainants will not be able to arbitrarily extend the period from art. 35 ECHR by submitting irrelevant and ineffective means. Due to the above decisions, such as refusal to lodge a claim or cassation by the Ombudsman or prosecutor, as a rule will not be considered as the final decision in the case (unless it is the only existing measure in the case - for a man who is considered for the father of a child in whose birth certificate a different man is entered as a father). Run ter only the full version of the complaint is interrupted (filed on a special form, containing all documents indicated as attachments, all national judgments in the case) sent by post (it can not be a fax or email). The date on the postmark will determine the date of submitting the complaint. Applications do not have national rules on the calculation of deadlines, so it does not matter that the deadline for filing a complaint expires on a public holiday or Saturday. A complaint not submitted in due time or submitted in an incomplete form will be rejected. The ECtHR will not set a deadline for filling in formal defects. In some situations, the Tribunal may hear a complaint despite exceeding the deadline, but these are exceptional situations, such as force majeure, detention of post by a prison or conditions of complete isolation - complete lack of contact with the outside world. For example, the Court declared it inadmissible to complain of mentally ill people. The complainants argued that the delay in preparing and sending the complaint was justified by the impossibility of directing their own actions, which was related to the illness. The ECtHR found that the illness did not prevent them from conducting domestic proceedings, and therefore can not accept the time-limit as justified. In conclusion, the 6-month rule is a formal and very rigid rule. Complainants interested in submitting a complaint should start preparing it as soon as possible and preferably send it before the deadline, so that they have time to correct any errors and resubmit a complaint. The speed of action may turn out to be important in the great changes introduced by Protocol No. 15 of the Convention (it will come into force after ratification), which shortens the time for lodging an individual complaint from six to four months. Currently, about 90% of complaints are rejected due to inadmissibility and shortening the deadline may make it more difficult to effectively bring an individual complaint to the ECtHR.